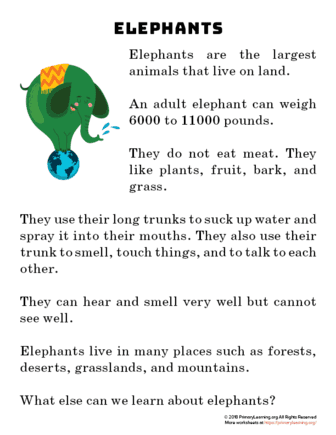 In this non-fiction passage, students learn about the elephant. Where does the elephant live? What does elephant eat? How does elephant look like? Elephant reading passage has around 100 words. Each line has around 30 characters and wide spacing for easy reading and comprehension. 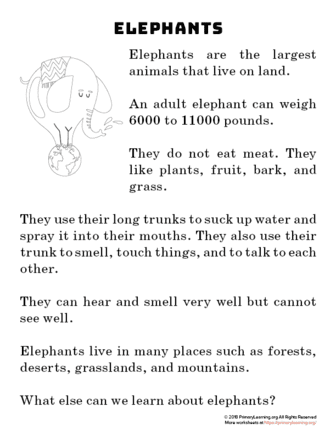 After reading students encourage to find out more about elephant and answer three questions.